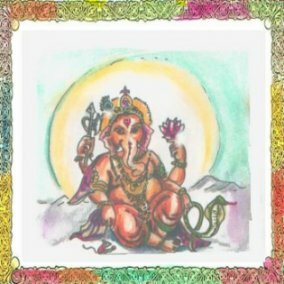 We pay our obeisances to Lord Ganesha, son of Lord Shiva and Parvati, patron of Astrology and giver of wisdom. 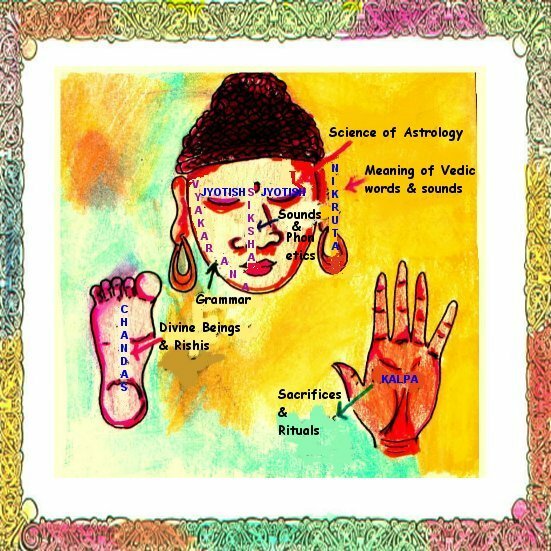 Vedic Astrology is called "Jyotish" in Sanskrit. Astrology existed when Lord Brahma created the universe. Each of Brahma's 4 heads represented one of the 4 Vedas. 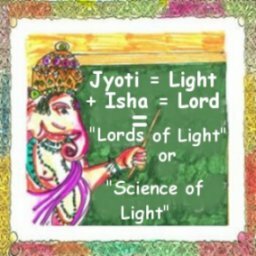 These 4 Vedas were divided into 6 branches of which Jyotish is considered most important. 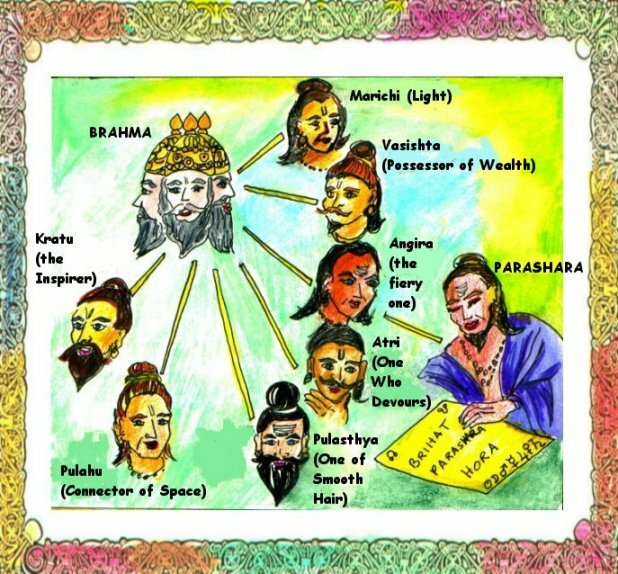 Lord Brahma bore seven sons who were great sages. Vedic wisdom passed down through the lineages of these sages as an oral teaching and was later put into writing. Parashara belonged to the line of Angiras and wrote a treatise called Brihat Parashara Hora Shastra. This ancient treatise, written more than 5000 years ago, forms the backbone of Vedic Astrology today. Of the 6 limbs of the Vedas Jyotish is called the Eye of the Vedas. It helps us see our cosmic role in the universal plan. 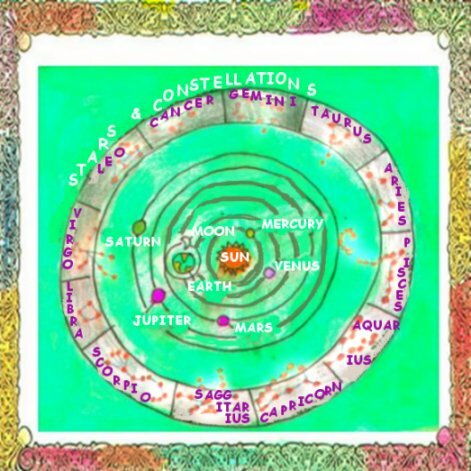 Astrology is the study of planets and stars as observed from Earth and how they effect us through the passage of time. The stars are located along a portion in the sky known as the zodiac. 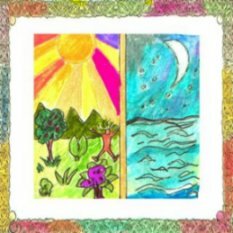 We can see how the Sun & Moon effect us in the physical world. Sun is the source of all life on our planet while the Moon affects all water bodies on earth. When we study the effects of planets in Astrology, we are referring to how the astral waves from these planets effect us on the astral plane, which in turn effects the physical plane. 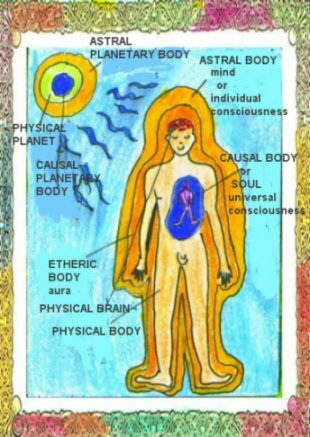 Within our physical body lie 3 other bodies including the astral body. These three bodies survive after our physical body dies. 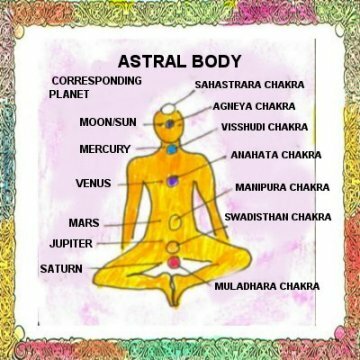 The Astral body contains 7 vital centres or chakras which our life energy (kundalini) travels along. These centres are placed where the seven major glands of the physical body reside. These seven astral centres control all of our mental, physical, emotional functions. Astral waves from the planets effect these vital energy centres which correspond to the seven planetary energies. Astrology relies on the use of the Zodiac. 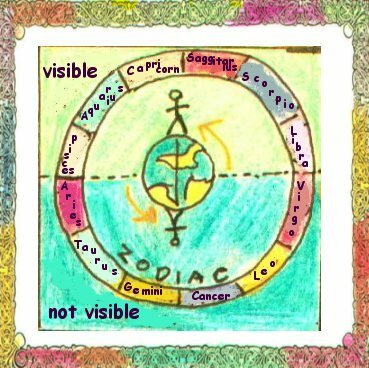 The zodiac is an imaginary circle drawn around the Earth which divides the sky/stars/constellations into 12 signs. 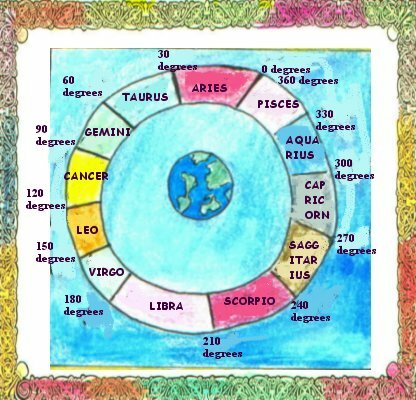 The zodiac circle is 360 degrees, each sign being 30 degrees. If one stands on the equator of the earth and looks towards the sky they will see a half circle (half the zodiac). 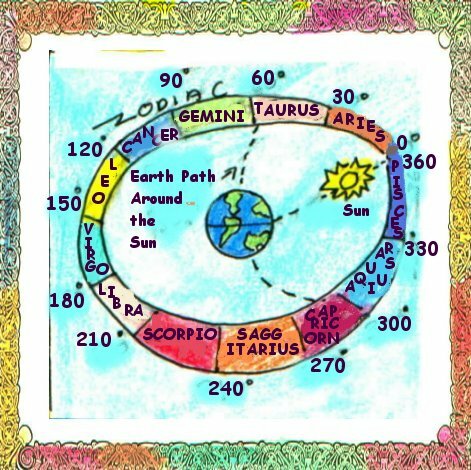 As the earth rotates the observer standing at the same point will see the other half of the zodiac. The observer sees each half of the zodiac within a 24 hour period. On 13th, 14th or 15th of April every year at sunrise, the Sun as seen from the earth lies at 0 degrees of the zodiac circle. The Sun crosses the whole zodiac in one year, which means that it moves through each 30 degree portion of a sign in one month. 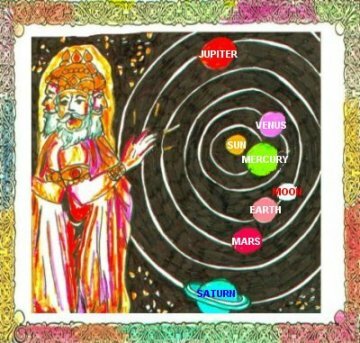 Vedic Astrology uses the Sidereal Zodiac which is astronomically accurate and shows the planets and constellations as they actually appear in the sky at any given moment. 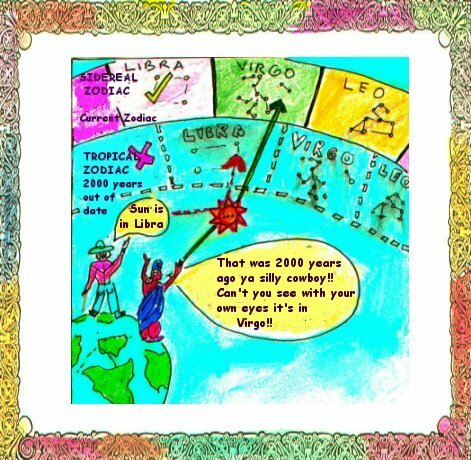 Western Astrology uses the Tropical Zodiac which is based on the position of the planets and constellations as they appeared in the sky 2000 years ago and is astronomically inaccurate. 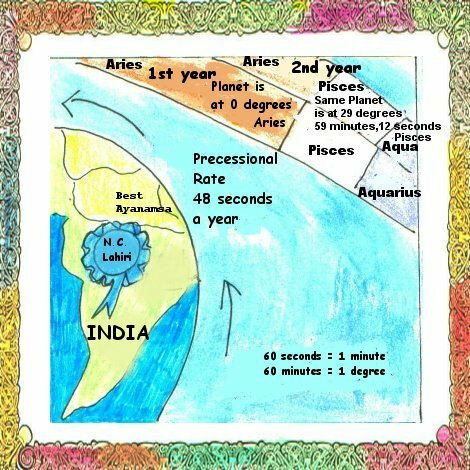 To convert a Tropical zodiac into a Sidereal zodiac one needs to know the current ayanamsa and subtract it from the tropical longitudes of the planets. The most widely accepted ayanamsa in India was introduced by N.C. Lahiri. He calculates the precessional rate to be around 48 seconds per year. 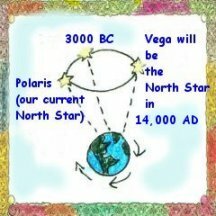 The precession of the Earth's axis causes the polestar to change every few thousand years. Due to precession, every 2000 years a new constellation will rise on the eastern horizon at sunrise on the Spring Equinos (21st March). 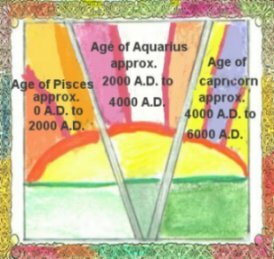 We are currently in the Age of Aquarius which influences the whole humankind for 2000 years. This age brings in a more scientific, progressive time where knowledge is more important than blind faith. All ancient cultures including the Mayans, Egyptians, Sumerians, Babylonians and Vedic had sophistocated knowledge of astrology and astronomy which is evident in their art and architecture. They knew about precession of the equinoxes and had highly developed precision calendars. Here we see how the Aztec temple wall of Tianhuaco aligns perfectly to the Sun's annual passage through the equinoctal points in 10,500 B.c. The Egyptian pyramids and the Sphinx reflect the sky pattern around 10,500 BC and mirror the constellation of Orion. The Angor temple in Cambodia is aligned to the constellation Draco as it appeared in the sky at 10,500BC. 10,500BC was an important time in ancient history and fell in the Age of Leo. Like other ancient structures the measurements of precession, earth's circumference, planetary cycles and other number codes were incorporated into these grand monuments.